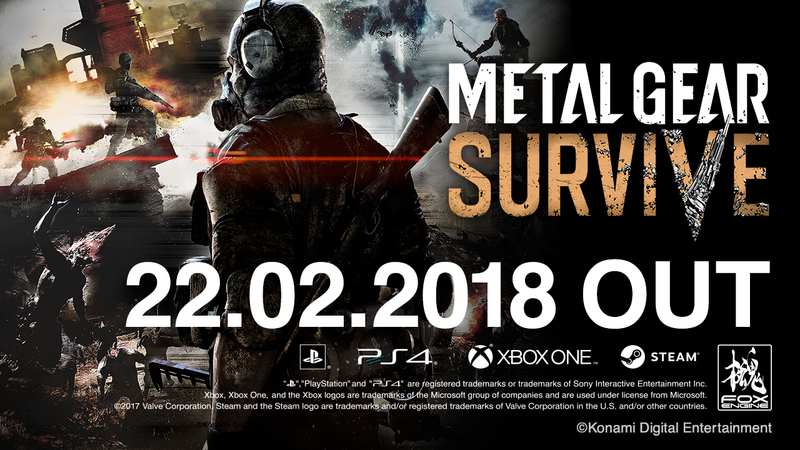 Konami have announced that Metal Gear Survive will be launching on February 22nd for PlayStation 4, Xbox One and Windows PC! 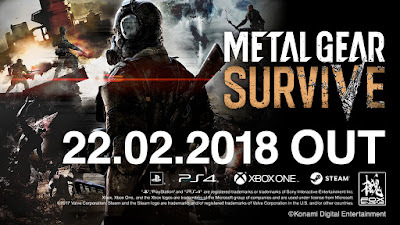 Metal Gear Survive picks up from the ending of Metal Gear Solid V: Ground Zeroes. Players are pulled through a wormhole and find themselves in a dangerous world filled with biological threats and hostile environments where they must survive and find their way home. Not only will they fight off deadly creatures, but also explore and forage the environment for food, water and other resources to stay alive. Scavenged materials can be used to build weapons, buildings and other useful items, as well as develop a base camp, where crop growing and animal rearing facilities can be added. New weaponry will also be introduced to combat charging creatures and lethal environments, as well as familiar weaponry such as Walker Gears and Fulton balloons.